BOOK DIRECT & SAVE UP TO 21%* THIS AUTUMN. AWESOME! At Dancing Kangaroo, we believe that small tour operators with upbeat local guides provide the most intimate and satisfying Melbourne tours. Our mission is take you on an epicurean journey within and beyond Melbourne that truly captures the essence of this colourful part of Australia. Importantly we have curated our tours to be a blend of meaningful information, great vibes and delectable food and drinks. We’re a 5-Stars rated host of epic food and drinks tours in Melbourne. If you’re a couple days into Melbourne, you might have heard a constant buzz about a sensational place call the Yarra Valley. This region is today Melbourne’s most favourite getaway destination and it’s located only an hour from the CBD. The Yarra Valley is renowned for producing delicate cool-climate style wines such as Pinot Noir, Chardonnay and Sparkling. Furthermore, its rich volcanic and alluvial soils makes it ideal for farming of quality fruits, vegetables and livestock. However, what really makes Yarra Valley absolutely mesmerising is its natural beauty – just imagine an amphitheatre of mountains overseeing a wave of rolling hills that etches towards flat plains underneath a big blue sky. So, if you’re looking for things to do in Melbourne, check out our top-rated tours departing to the Yarra Valley from the CBD. Come visit Australia’s most beautiful wine region – the Yarra Valley. 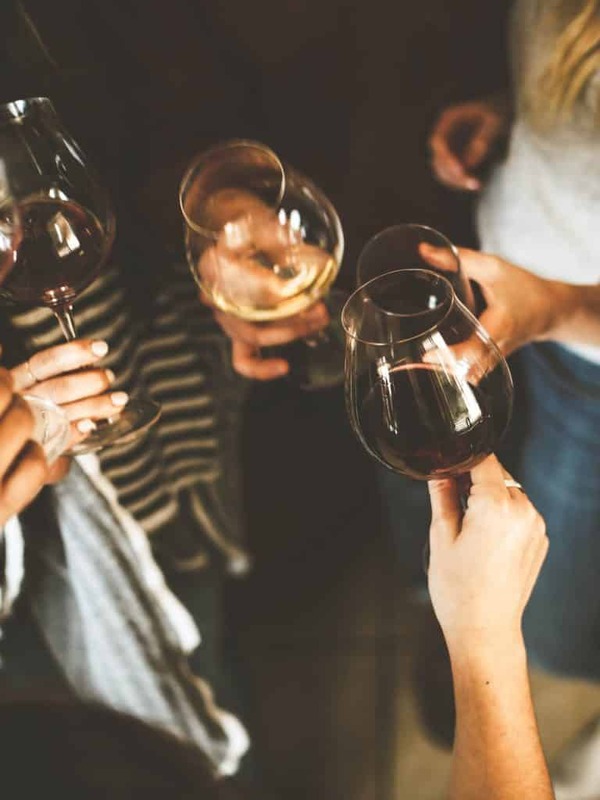 Our Epic Yarra Valley Wine Tours delights with the opportunity to taste outstanding premium boutique wines, hand-made cheeses, fresh ale & ciders and decadent sweets. Enjoy a winery lunch and take in the views. It’s all about the good vibes. You absolutely deserve it. Book direct for our best price promise & to support us as a boutique tour provider of awesome experiences! Enjoy a seasonal main course lunch with glass of wine. Visit 3 boutique wineries for tastings. Visit Yarra Valley Dairy for samples. Visit Napoleone Brewery & Cider-house for a glass of your choice. Rated 5/5 on TripAdvisor. Check out our latest reviews. Operates Monday - Friday only. Experience the most elegant food and wine tour in the Yarra Valley. Enjoy a 2 course winery lunch with guided wine tastings. Head over to the must-visit Domaine Chandon for an exclusive experience of their “Sparkling Selection”. Quench your thirst with a glass of beer or cider at Napoleone Brewery. Satisfy your sugar cravings at the Yarra Valley Chocolaterie. Our weekend style is a special treat for you. Visit the famous Domaine Chandon for their Sparkling Selection experience (valued @ $20pp). Enjoy a shared grazing platter followed by a seasonal main course lunch with glass of wine. Visit a mix of 3 unique wineries for tastings. Enjoy a shared cheese platter at the first winery with your wine tastings. Operates Saturday & Sunday only. Need an idea for a social or team-building event? Our Yarra Valley Food and Drink tours are great fun! We can help you design the most amazing experience or let us do all the work for you. Yarra Valley offers a wide range of tasting experiences from boutique to impressive cellar doors, craft distilleries and breweries, and local fresh produce farm gate. What sets up apart from others is our fun touch and awesome vibes! Minimum of 8 people required for private group tour. We offer group pick-up and drop-off within any address that's 25km from CBD. Generally we recommend visiting 2-3 wineries. Suggestions are welcomed however we'll recommend to ensure the best overall experience. Optional visit at Four Pillars or Alchemy - must prebook in advance especially for weekend dates. Optional visit at Napoleone Brewery & Cider-house. Optional visit at Yarra Valley Chocolaterie. Enjoy up to a 3 course lunch if you prefer. We are currently looking for passionate and vibrant people who would like to host their own Melbourne day tours. If you have awesome local knowledge and experience within and beyond Melbourne relating to food and drinks (wines, beers & spirits) plus enjoy the company of others, then drop us an email about the potential type of tour you like to host. Whatever it may be, we can create the best Melbourne tours if we do it together. Don’t just work to be a number for a large company, join a progressive tourism initiative like Dancing Kangaroo Tours and start creating a better world filled with your own flavour! Dancing Kangaroo Tours is a locally owned and operated provider of epic food and drinks tours. Notably, we host the #1 rated Yarra Valley wine tour according to TripAdvisor.